I’m cheating a little. 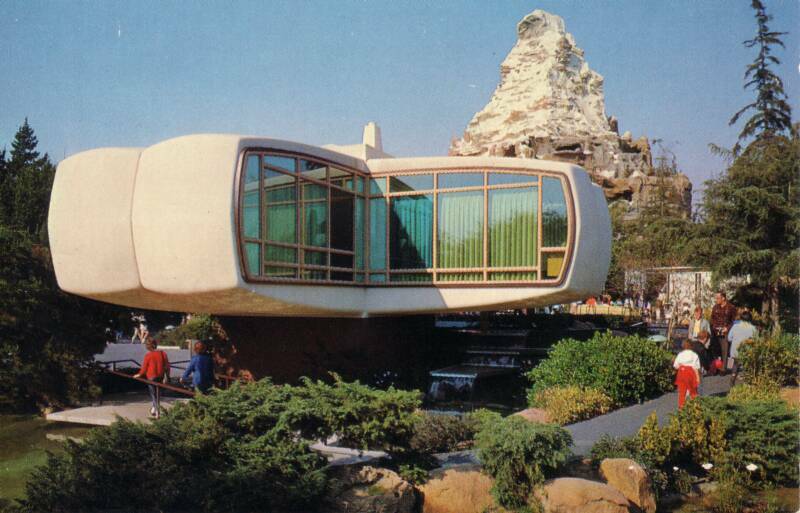 The House of the Future was constructed and displayed at Disneyland, in Anaheim, California from 1957 to 1967. However, it began life in the minds of two professors of architecture at MIT: Marvin Goody and Richard Hamilton. See more photos and plans of the house here and here. One of the nominees for the MIT150 Exhibition to celebrate the 150th anniversary of the Massachusetts Institute of Technology, next year. Voting has closed. This entry was posted in Cambridge, Science&Tech and tagged Disneyland, House of the Future, MIT, Plastics. Bookmark the permalink.